Vipul Amrutlal Shah is known for one of the most interesting crime capers to come out of Bollywood, Aankhen (2002), and two hilarious and whacky rom-coms, Namastey London (2007) and Action Replayy (2010). Even though most of Shah’s films are heavily inspired by foreign movies, he possesses the art of satisfying his viewers at the end of the day. 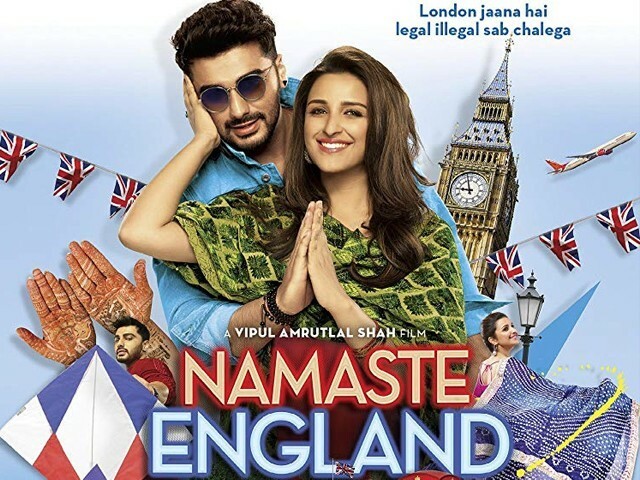 Shah is back with his new film, Namaste England, with a fairly new cast in his camp including Arjun Kapoor and Parineeti Chopra. Both the leads were last seen in Kapoor’s debut film Ishaqzaade. If anyone has seen that movie, they would be familiar with the duo’s amazing chemistry. But would that be enough for Namaste England to be a success? The story of Namaste England revolves around love birds Param and Jasmeet who get married without any hassles. However, Jasmeet does not want to be a housewife for the rest of her life and wants to pursue a career. Since she comes from a conservative family, where women are considered child-producing machines, she faces a lot of backlash and is forbidden to do what she desires. After marrying Param, Jasmeet leaves for England to follow her dreams. The story is about how a husband leaves India in search of his wife and the bond of love that transcends borders. Performance wise, Namaste England is hands down the worst film of Kapoor, and that is saying something. He looks disinterested, fatigued and out of character. It feels like he still has not left behind his earlier characters in Ki & Ka and Half Girlfriend. Chopra, on the other hand, usually plays the same kind of role – strong, confident and ‘not taking no for an answer’ type characters. However, she is plain awful in this movie. She goes way overboard in many scenes and leaves you feeling frustrated and cringy. It is unfortunate that the duo that started so strong in Ishaqzaade is now struggling to prove to the audience that they can in fact act. Considering how unimpressive the two leads were, you can only imagine the below average performances of the rest of the cast. Suresh Nair and Ritesh Shah wrote the script for Namastey London and came together to write the script for Namaste England as well. From the looks of it though, it did not feel like both the movies came from the same source. While Namastey London was nicely penned and had some great dialogues that are recalled to this day, Namaste England was not even a fraction close to that. It felt like they wanted to stuff the movie with every theme possible. There is romance, drama that was unneeded, concept of illegal immigration and of course the element of jealousy to keep it all down. But the audience was not able to keep it down because it was too much, especially when the performances weren’t even helping in this case. 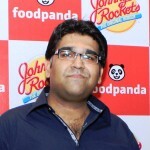 Shah’s direction is pretty weak, there are so many glitches on screen. The first half of the movie is usually supposed to be interesting, since it is all about introducing characters and setting the story in motion, however, Namaste England manages to even mess that up. From the first half of the film, the movie feels dragged and moves painfully slow. In the second half, the story delves into the territory of unrealistic storytelling and forced characters, and falls way out of hand. Overly dramatic and funny scenes are used to gain back the audience’s interests but it falls flat and fails to have any impact. It is actually incredible how the movie manages to make every scene more boring than the previous one! While Namastey London had some great and catchy songs, this instalment has nothing of that calibre. Even though there are some melodious songs, but none of them deserve a place in your playlist. To sum it up, Namaste England is a total waste of your time and an unfortunate movie to follow a classic like Namastey London. There is nothing to salvage this movie, and it will bore you out of your mind. So please do yourself a favour and do not greet Namaste England!